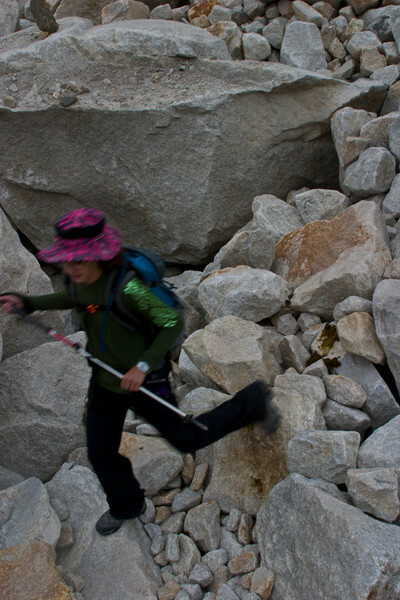 This is what the trail looked like while on the glacier: rocks piled on other rocks. You could never really tell what was underneath, just blackness in the gaps between stones. There was probably an ice foundation down there somewhere. Succesful navigation meant picking your way from large stone to large stone being careful to pick only the stable ones.